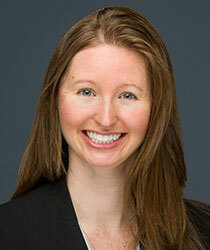 Clara Gillispie is Senior Director of Trade, Economic, and Energy Affairs at NBR. In this capacity, Ms. Gillispie leads research, publications, and activities for a range of NBR initiatives, including the organization’s programming on innovation and intellectual property rights. Her subject-matter expertise focuses on shaping program and research agendas on energy security, trade and innovation policies, public health and the environment, and geopolitical trends in the Asia-Pacific. Ms. Gillispie has authored or served as lead substantive editor of numerous NBR reports that have been used in briefings with the U.S. Departments of State, Energy, and Defense; Congress; senior industry representatives; and others. Her publications include Rising to the Challenge of Energy Security: How the United States, India, and China Can Lead the Way (co-authored with Tom Cutler, March 2016); New Outlooks for Asian Energy Security: Changing Global Dynamics and Regional Responses (co-authored with John Ryan, May 2014); and How Can Japan Compete in a Changing Global Market? (February 2013). Her research and analysis have also been featured in both U.S. and international media outlets, including NPR’s Marketplace and CNBC. Prior to joining NBR in 2011, Ms. Gillispie served as a consultant for Detica Federal Inc. (now a part of BAE Systems), where she conducted program assessments and policy reviews for U.S. government clients. She has also worked both at the U.S. House Committee on Science, Technology, and Space and the American Chamber of Commerce in the People’s Republic of China. Ms. Gillispie graduated from the London School of Economics and Peking University with a dual MSc in International Affairs. Her academic and research interests focus on energy security questions, as well as technology and security in East Asia, including Sino-U.S. technology transfer policies and the behavior of Chinese netizens. Prior to her graduate studies, Ms. Gillispie received a BS from Georgetown University and attended Sophia University in Tokyo, Japan, for language training.